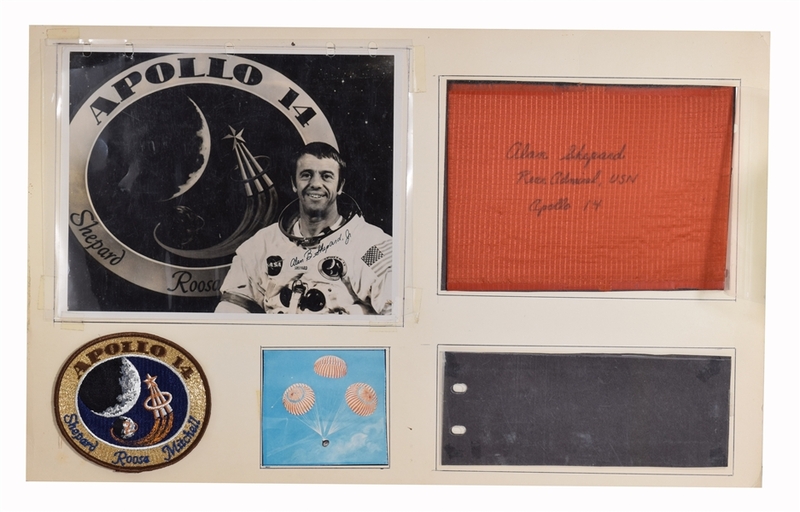 This is an amazing piece of signed Space memorabilia. This is an actual piece of the Apollo 14 Re-Entry Parachute, size 6"x 8 1/2". 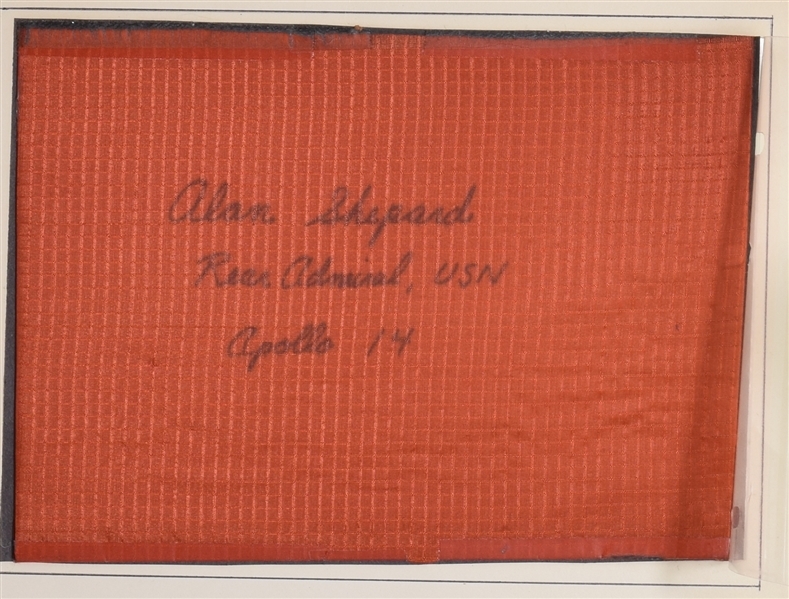 It is signed "Alan Shepard Rear Admiral, USN Apollo 14". Autograph does have a COA by Zarelli Space. Rear Admiral Alan Bartlett Shepard Jr. (November 18, 1923 – July 21, 1998) was an American astronaut, naval aviator, test pilot, and businessman. In 1961 he became the first American to travel into space, and in 1971 he walked on the Moon.Shepard was designated as the commander of the first manned Project Gemini mission, but was grounded in 1963 due to Ménière's disease, an inner-ear ailment that caused episodes of extreme dizziness and nausea. This was surgically corrected in 1969, and in 1971, Shepard commanded the Apollo 14 mission, piloting the Apollo Lunar Module Antares to the most accurate landing of the Apollo missions. At age 47, he became the fifth, the oldest, and the earliest-born person to walk on the Moon, and the only one of the Mercury Seven astronauts to do so. During the mission, he hit two golf balls on the lunar surface. He was Chief of the Astronaut Office from November 1963 to July 1969 (the approximate period of his grounding), and from June 1971 until his retirement from the United States Navy and NASA on August 1, 1974. He was promoted to rear admiral on August 25, 1971, the first astronaut to reach that rank.